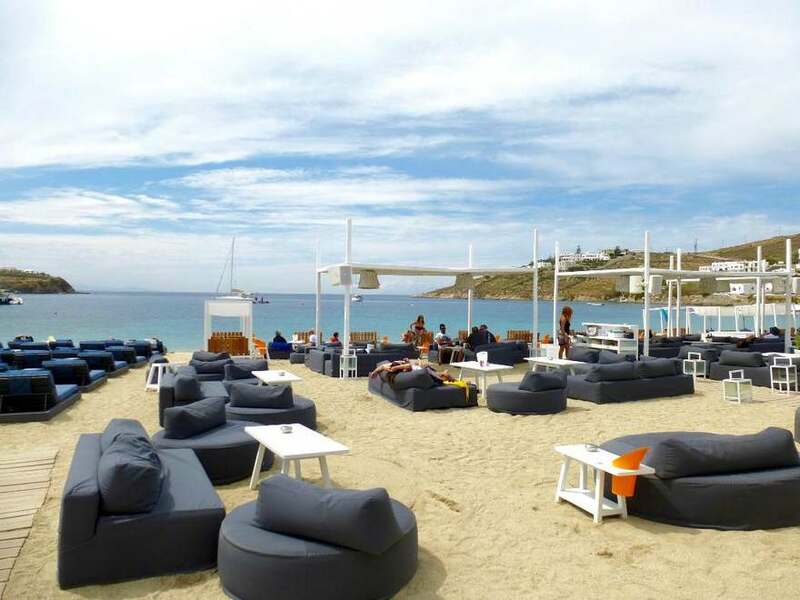 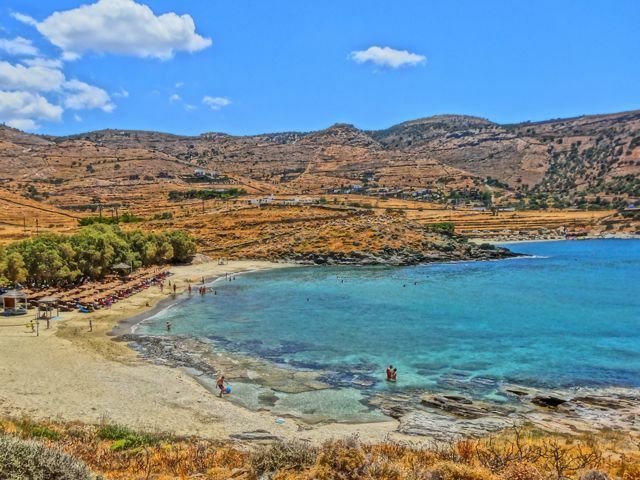 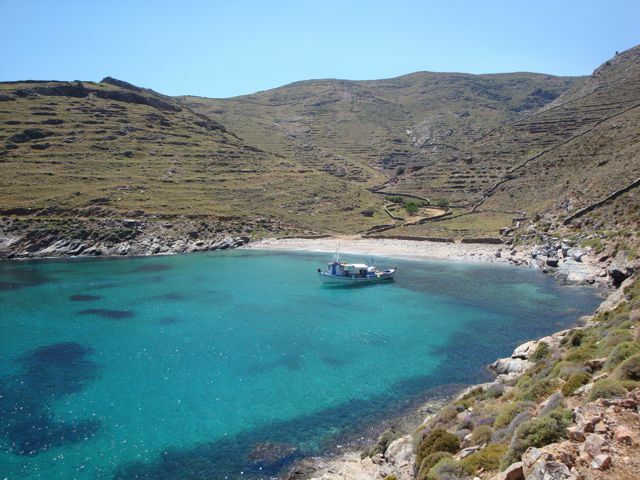 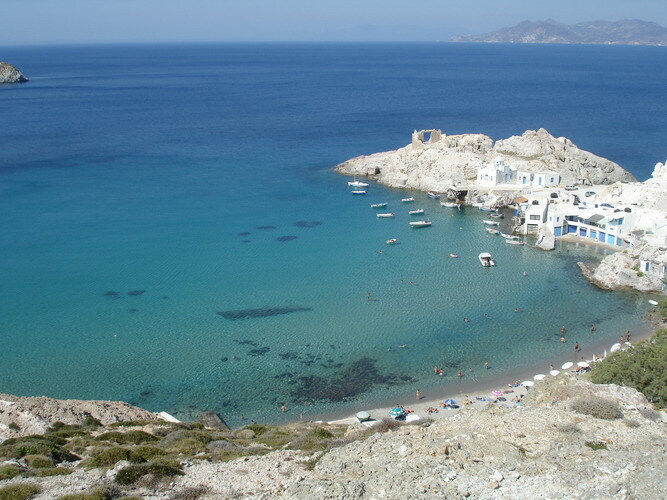 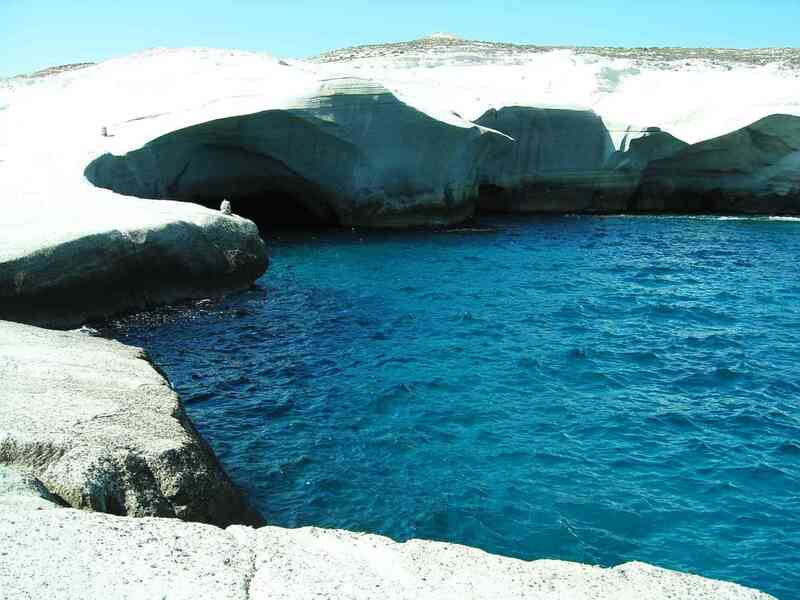 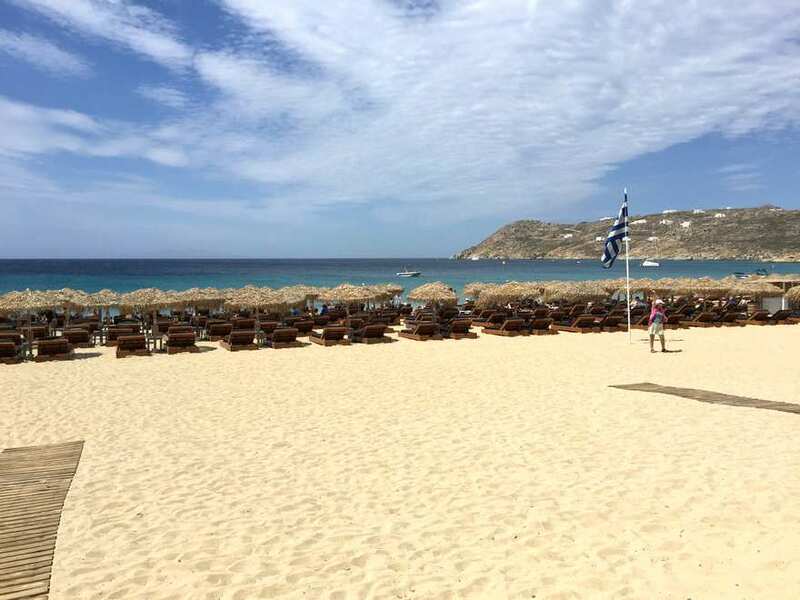 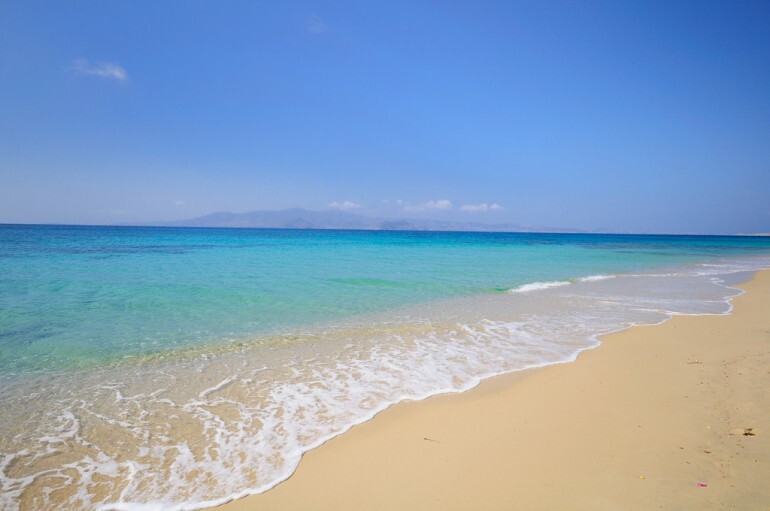 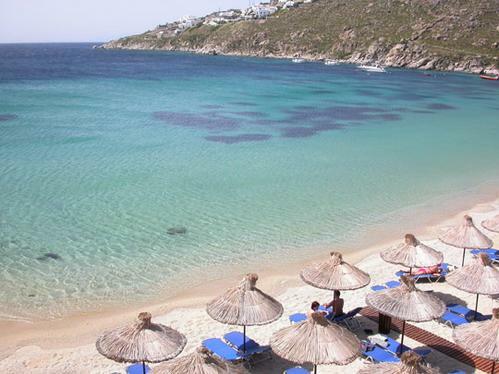 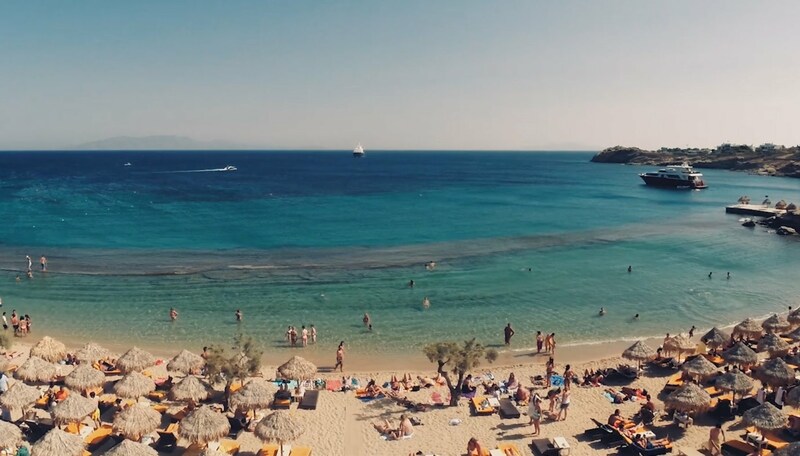 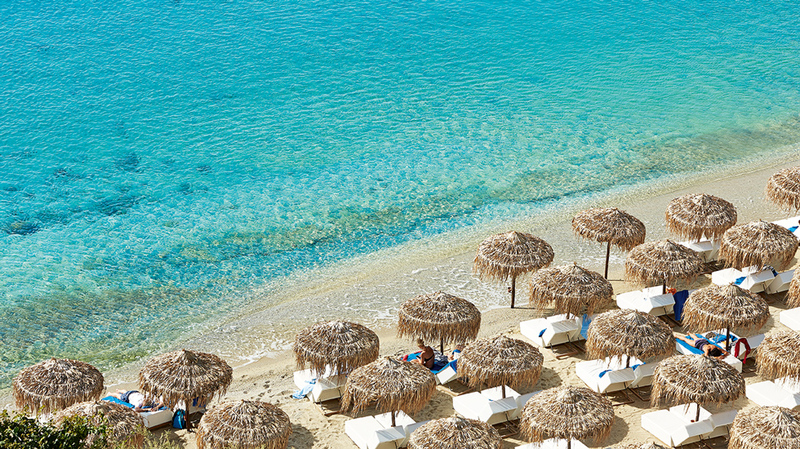 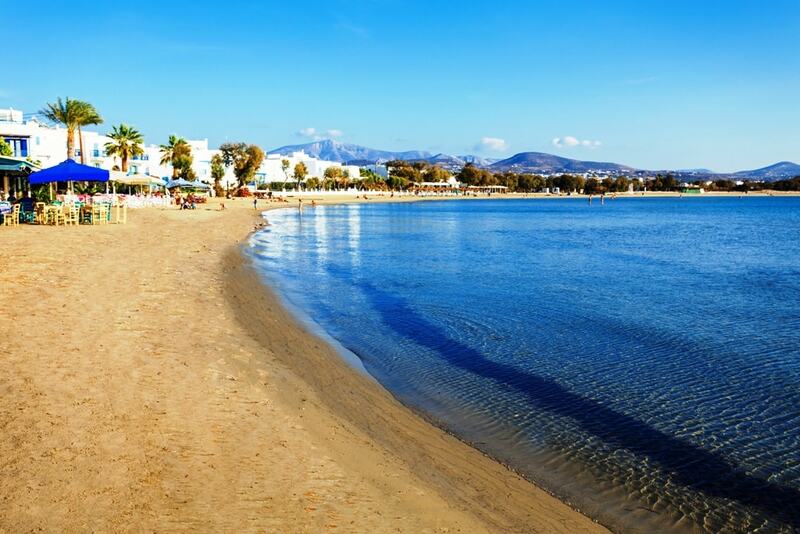 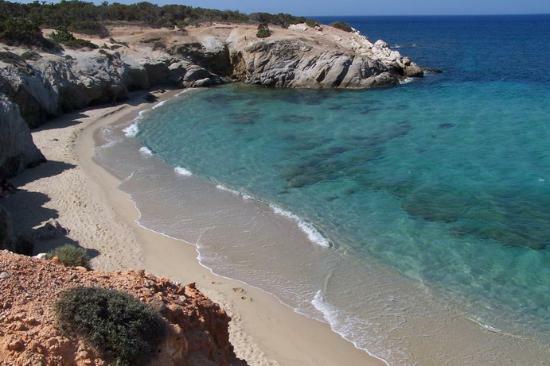 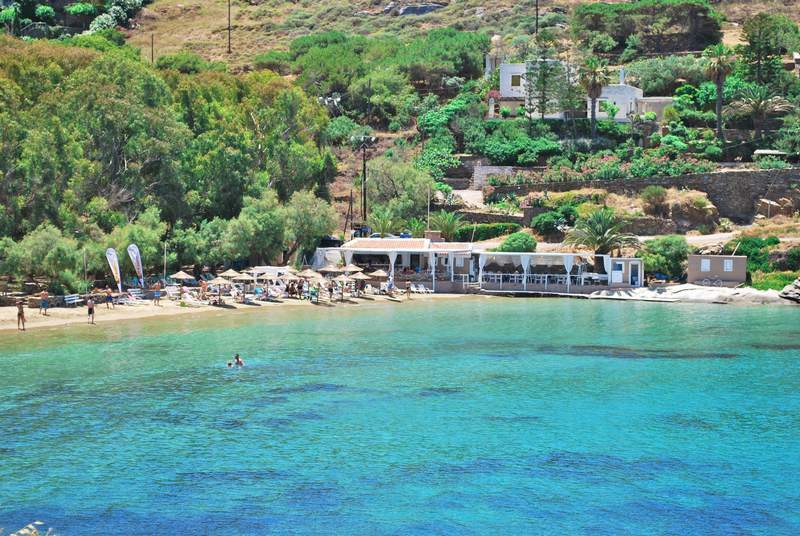 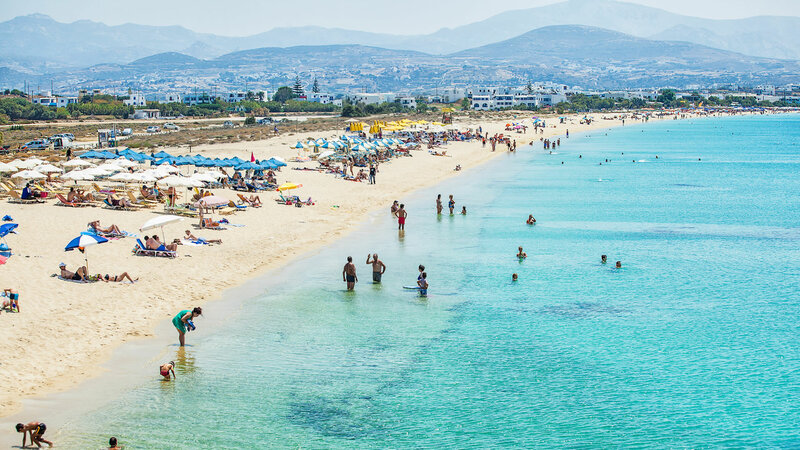 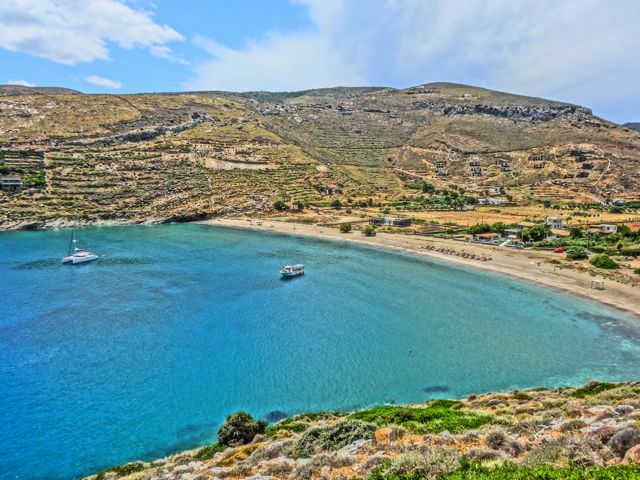 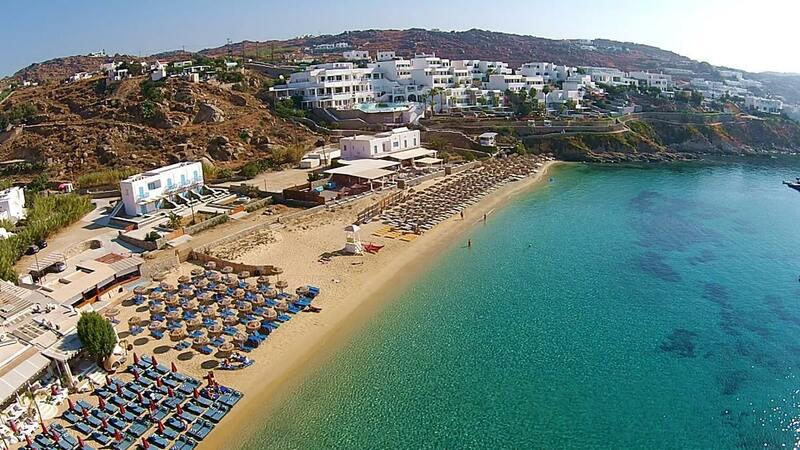 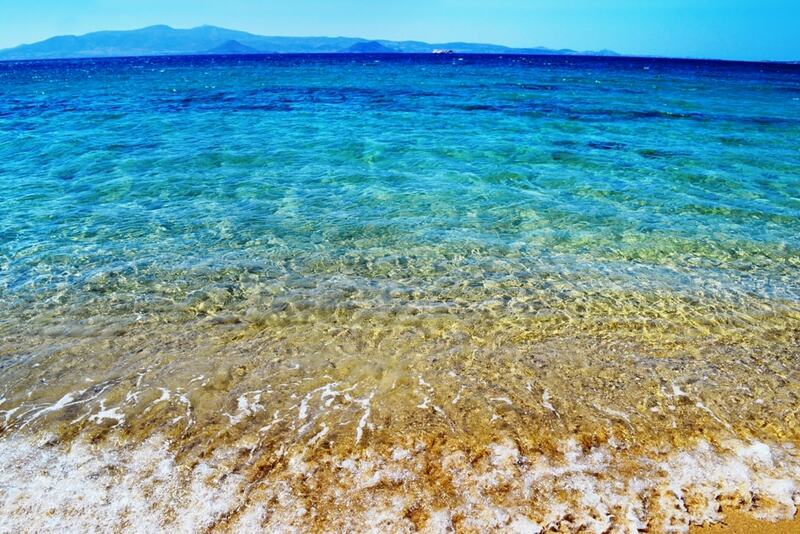 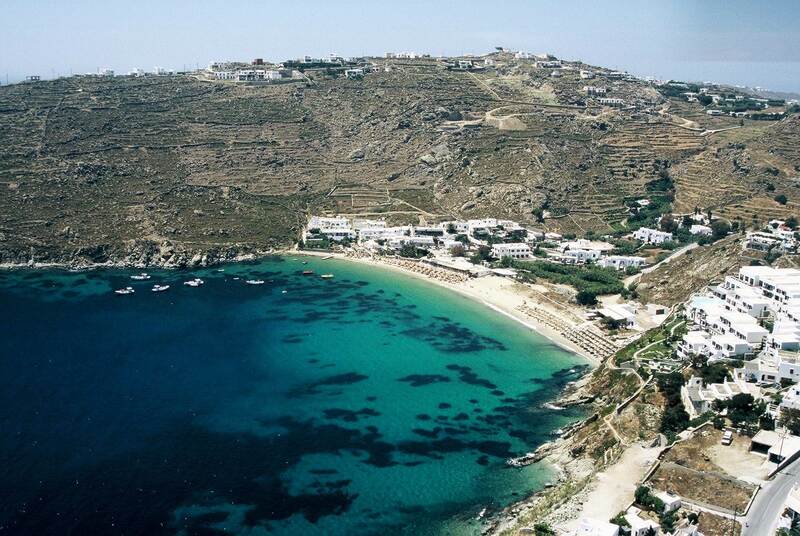 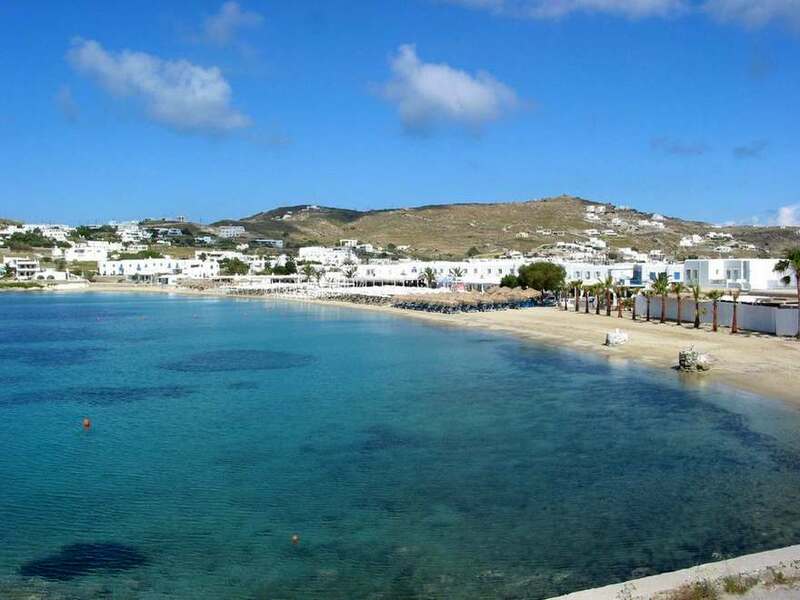 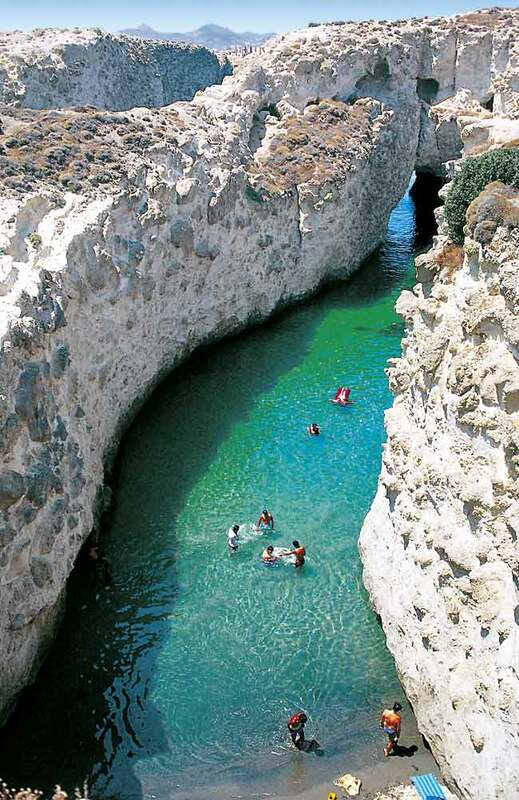 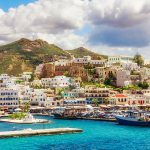 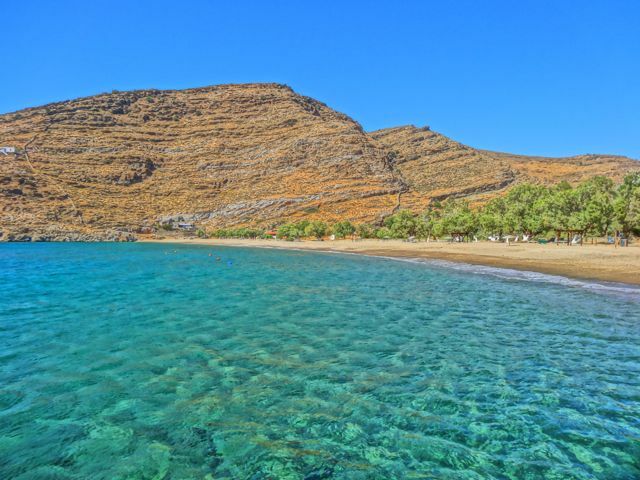 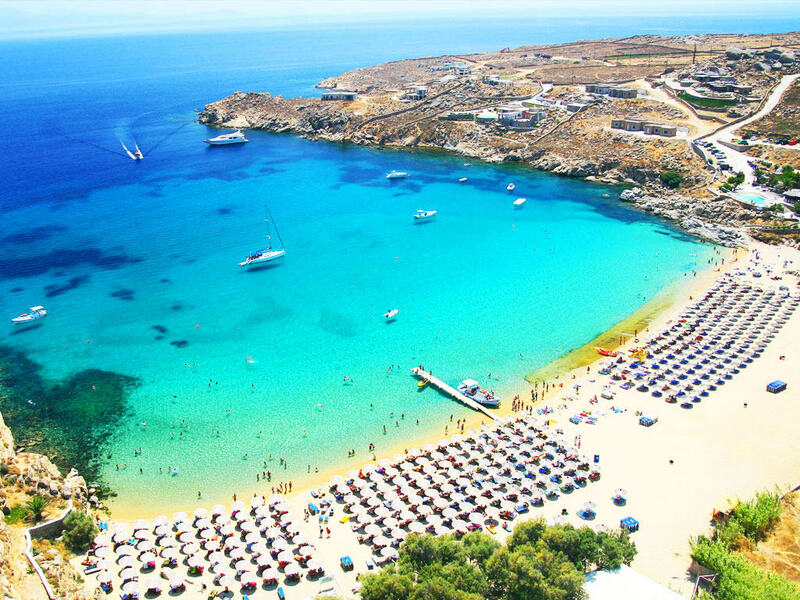 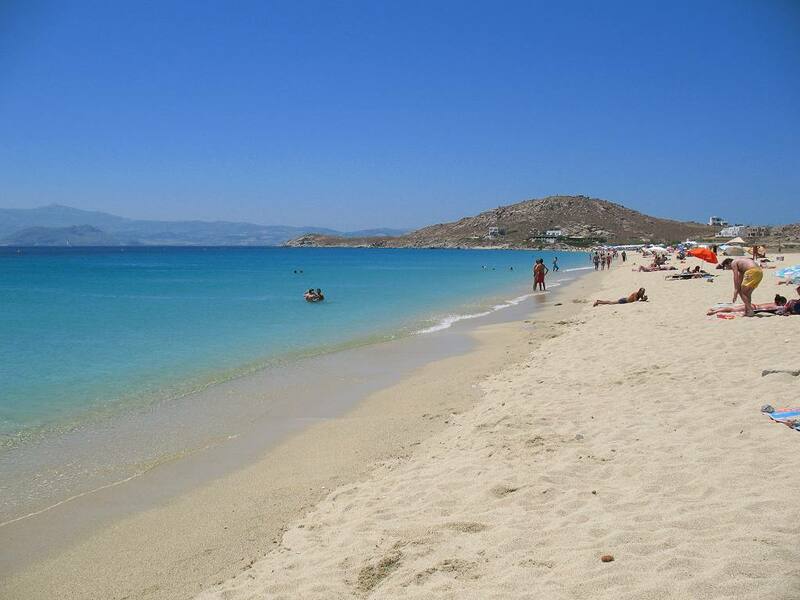 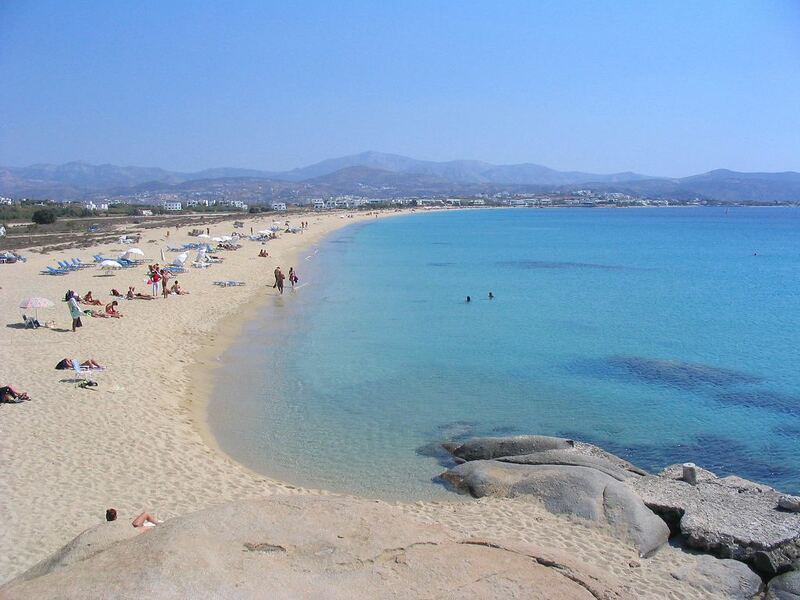 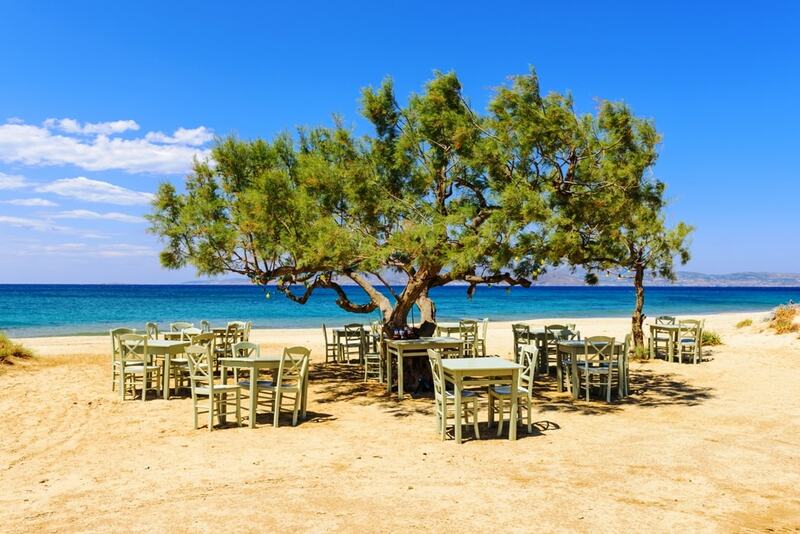 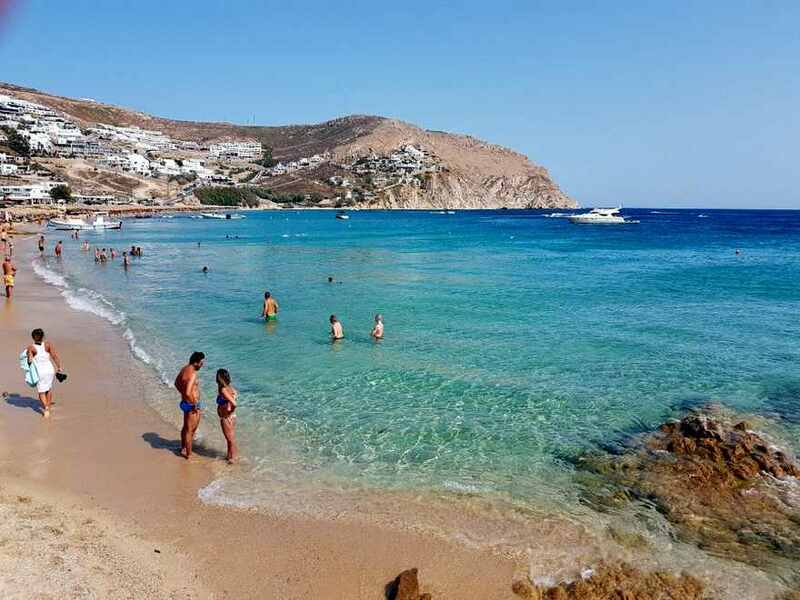 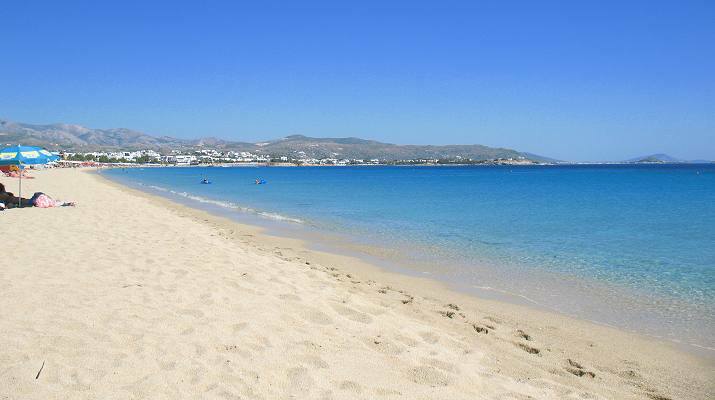 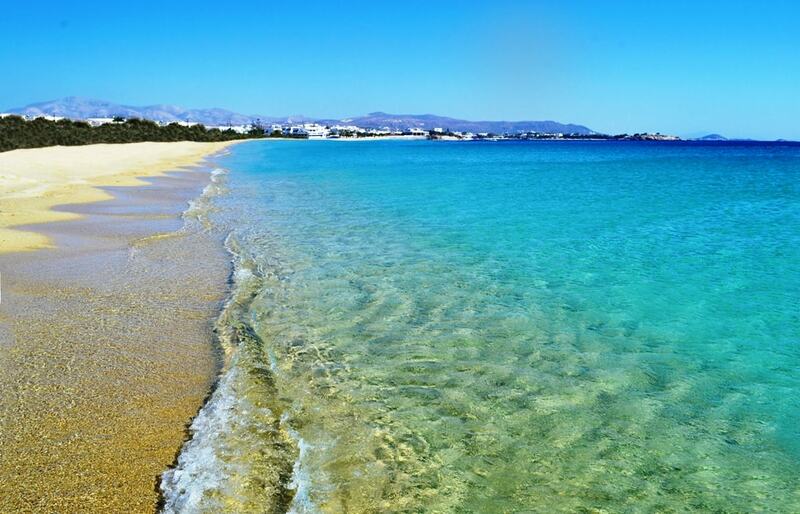 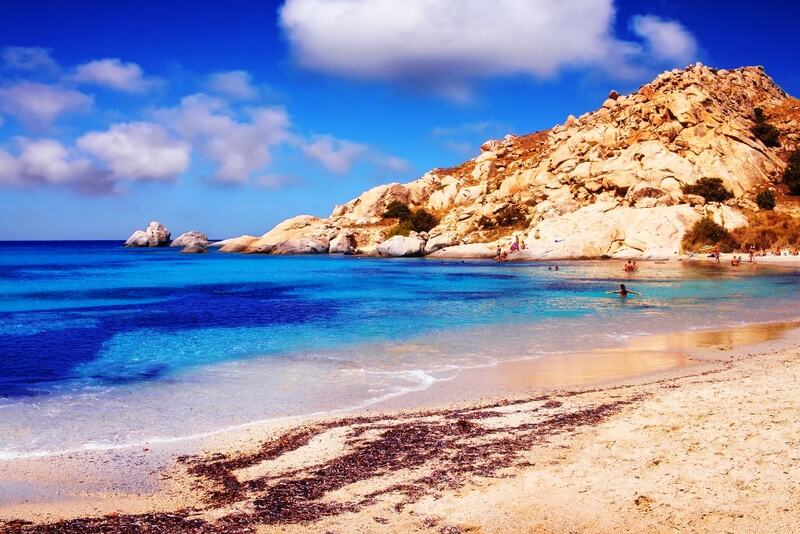 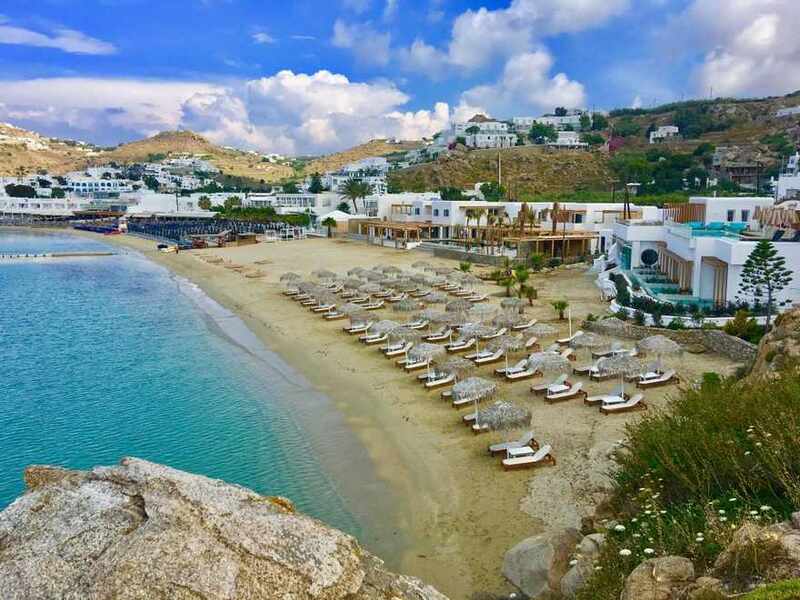 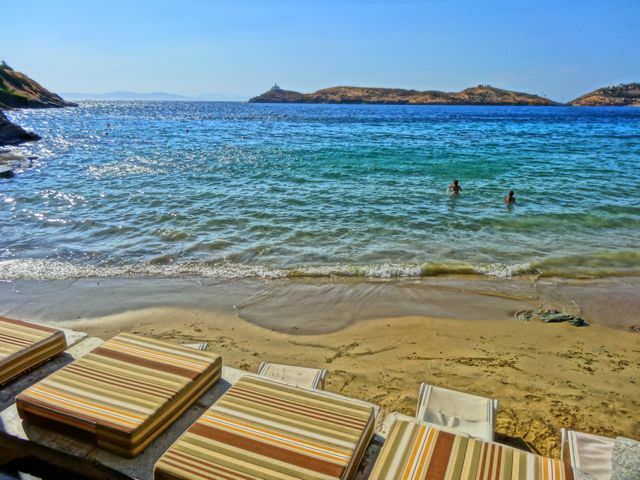 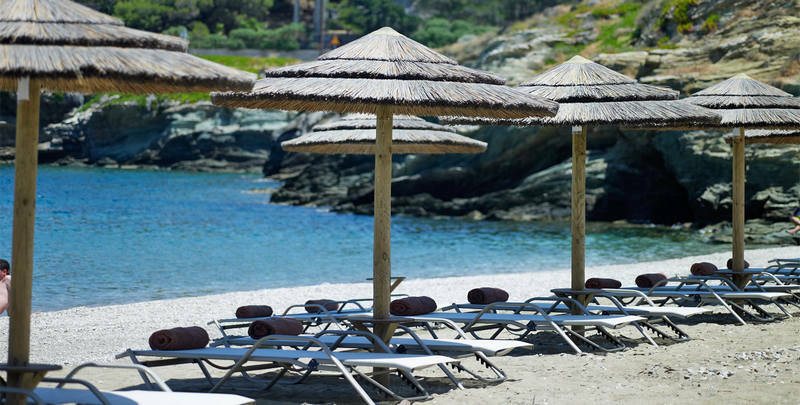 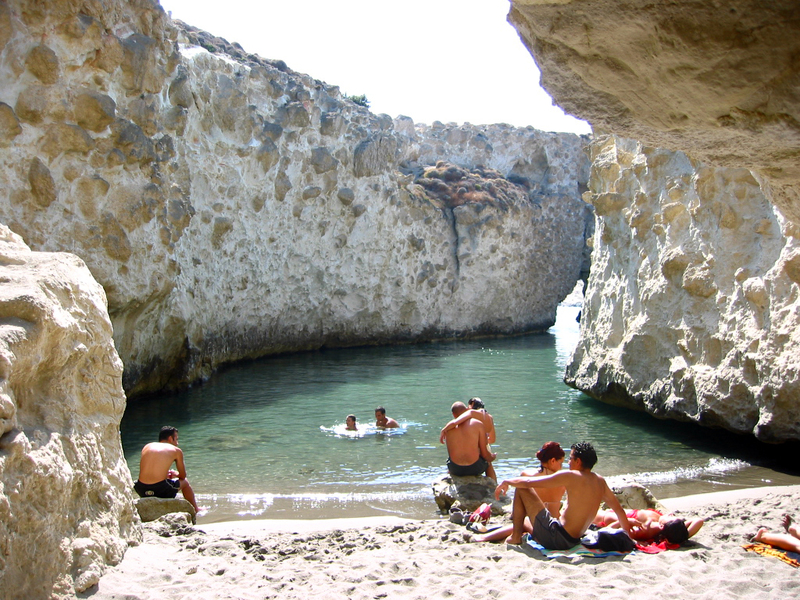 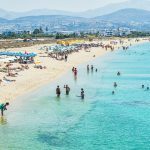 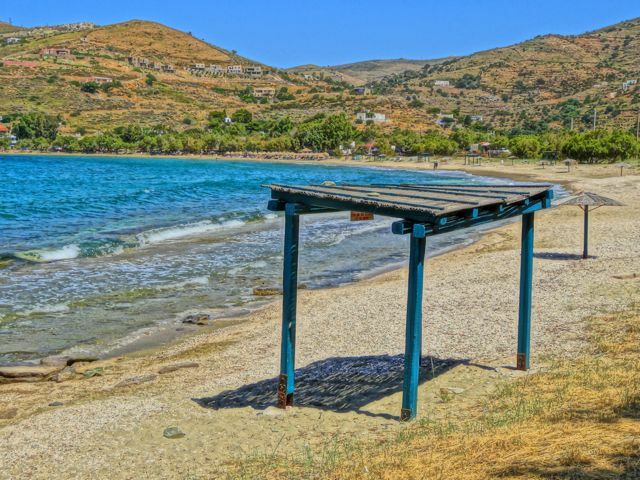 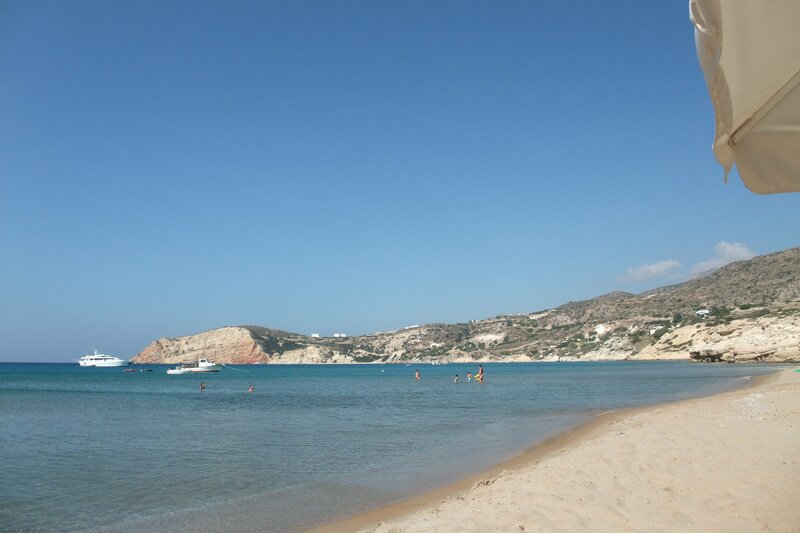 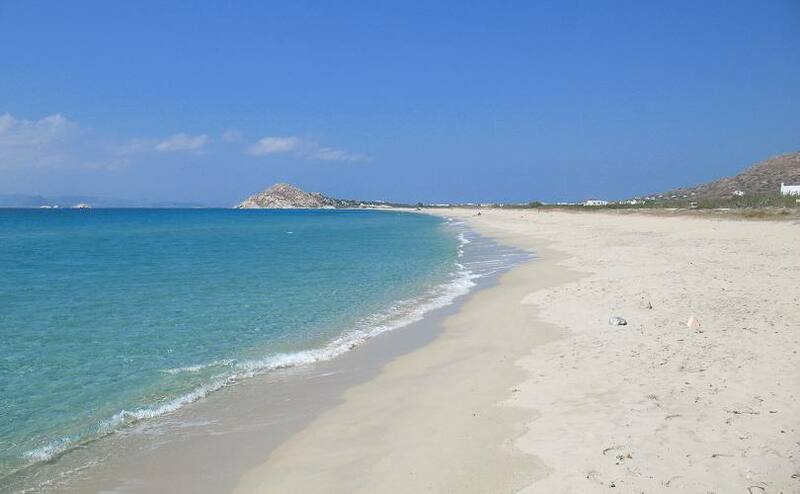 Agios Prokopios beach Naxos is located at the western part of Naxos, just 5 km south of Chora. 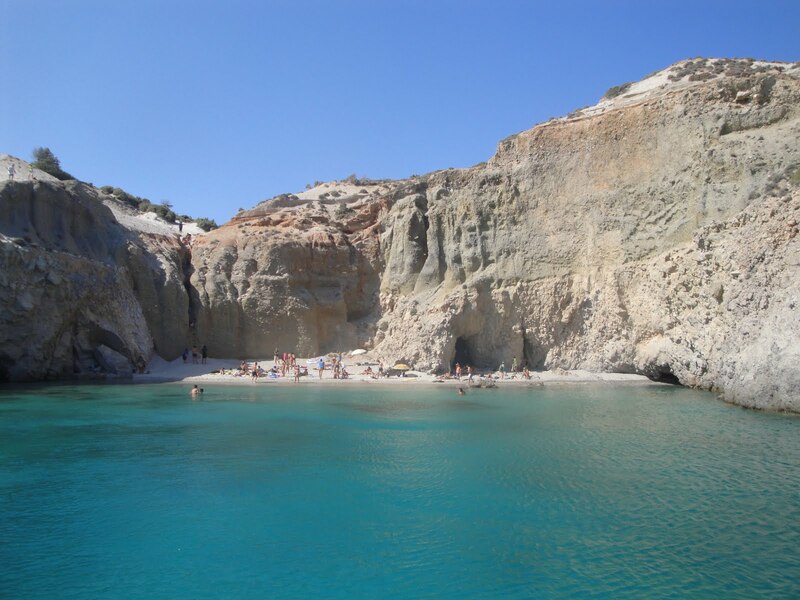 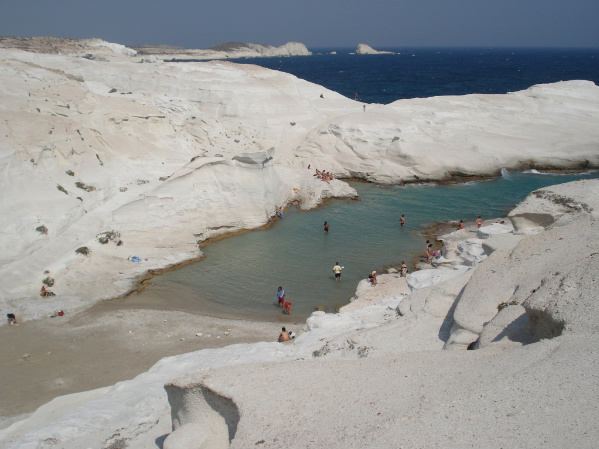 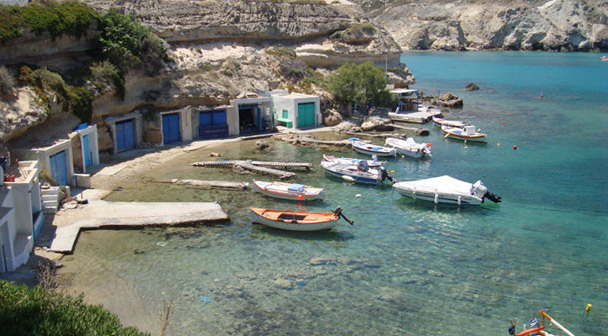 It is the most famous beach on the island. 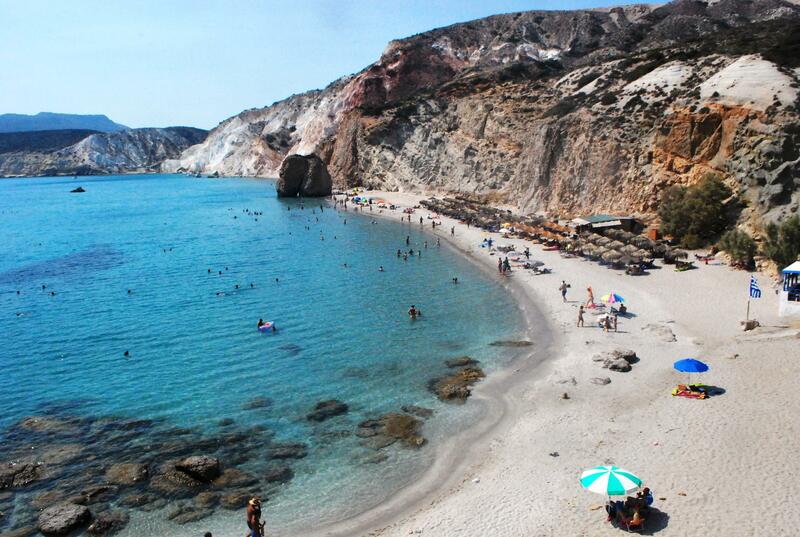 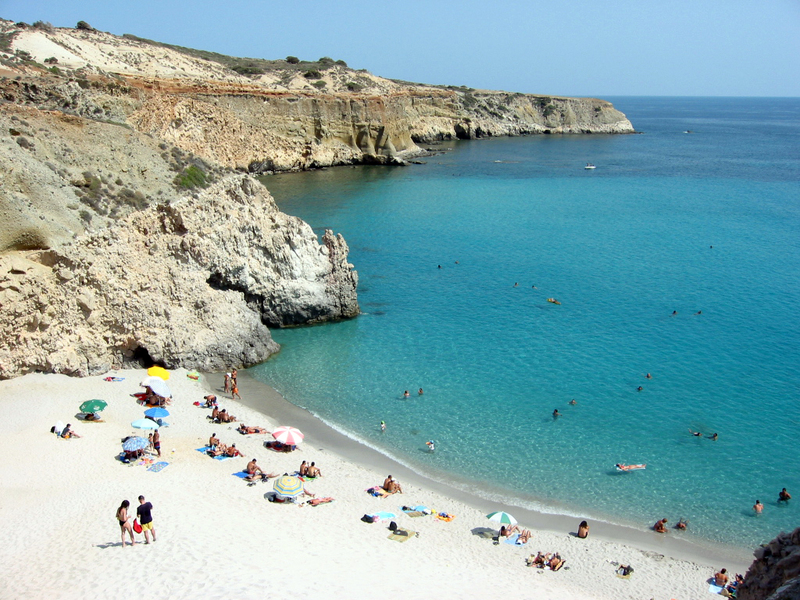 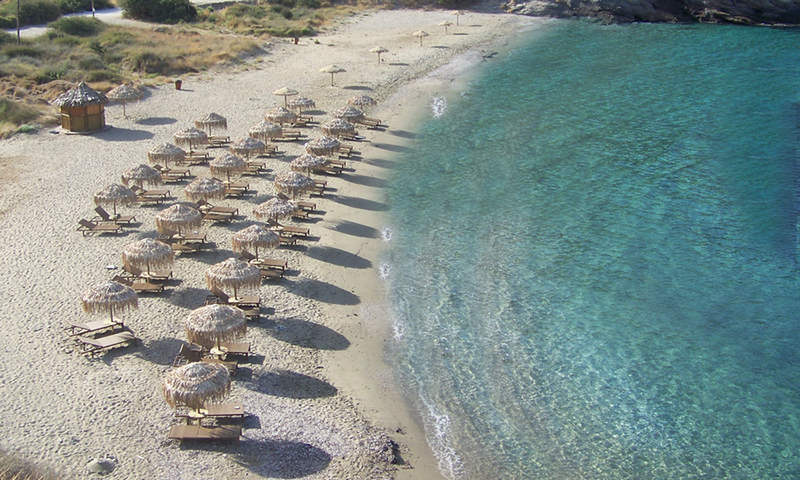 It has been honored as one of the best beaches of Europe. 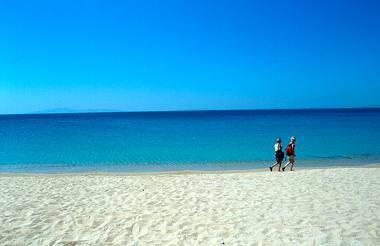 This 1.2 km long sandy beach is stretching from East to West. 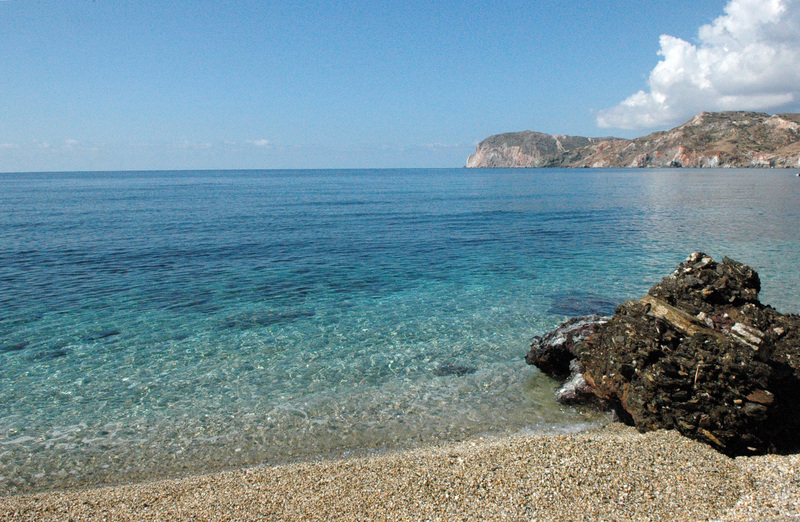 The southern exposure of the coast protects visitors from the north winds which makes it ideal for children. 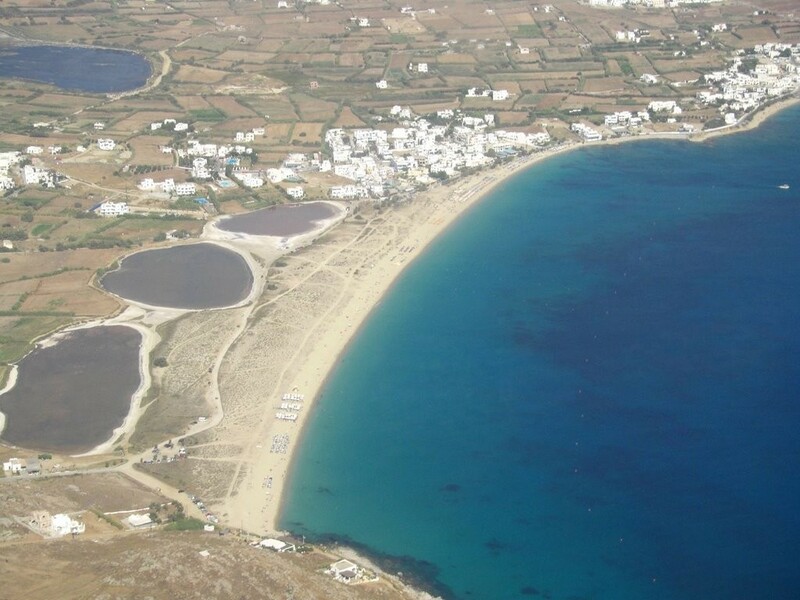 North of the beach are developed impressive Salinas. 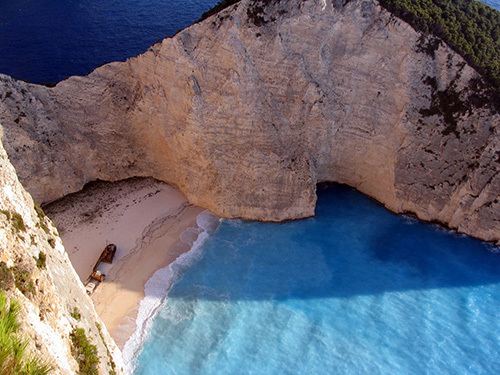 The homonymous chapel stands at the westernmost point of the beach. 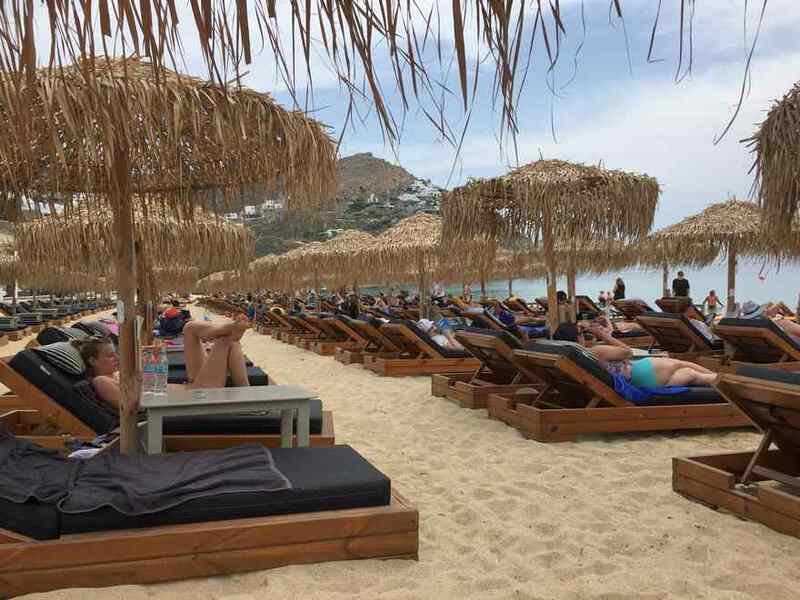 The beach is well organized, with umbrellas and sun-beds almost everywhere except its northern section. 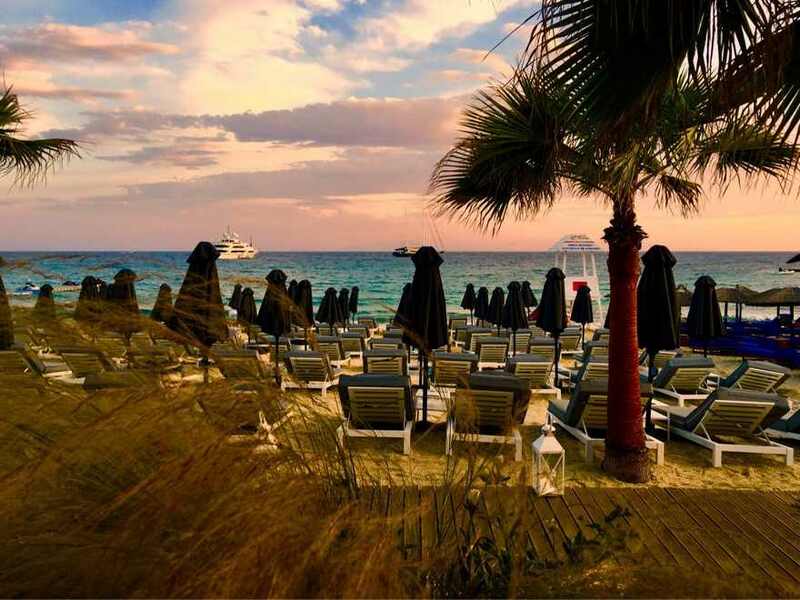 During summer, the beach is packed with young people who enjoy its crystal clear waters and prefer its café-bars for their all day entertainment. 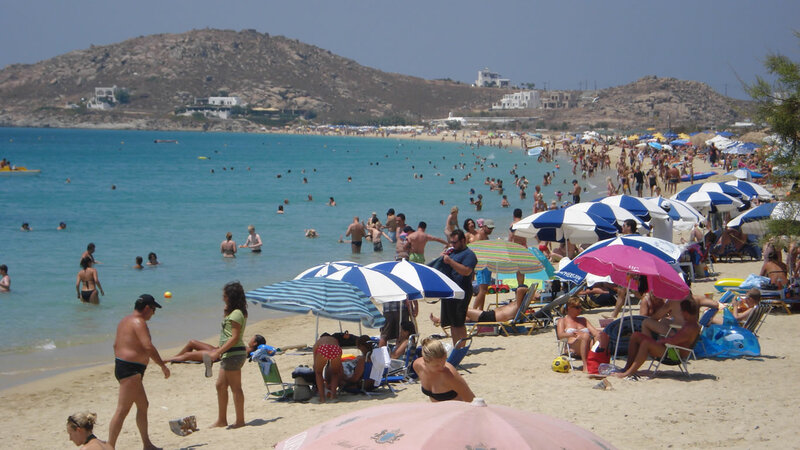 Nowadays, there are only a few naturists in the area (a few years back you would find many more), gathered mainly at the northern end of the beach, away from less bold souls. 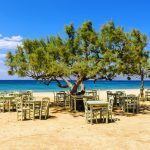 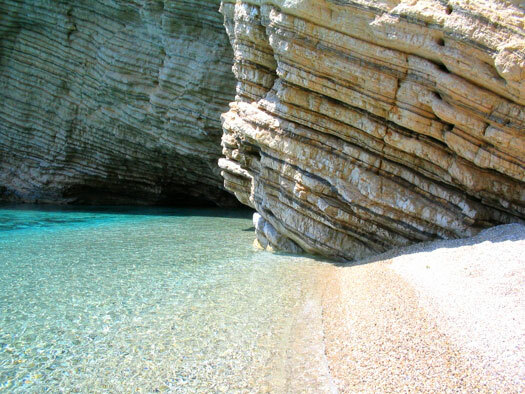 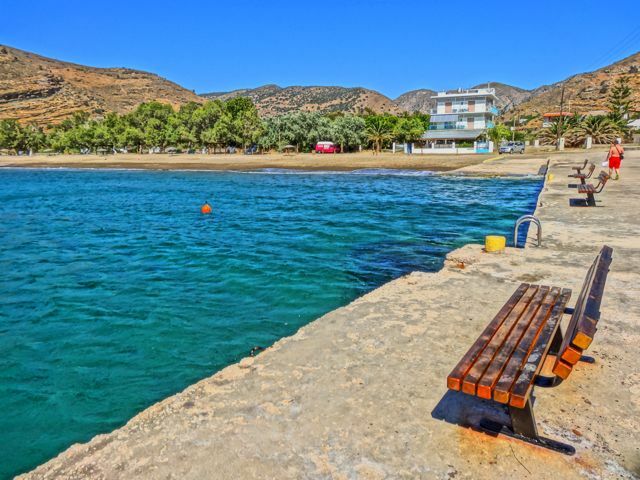 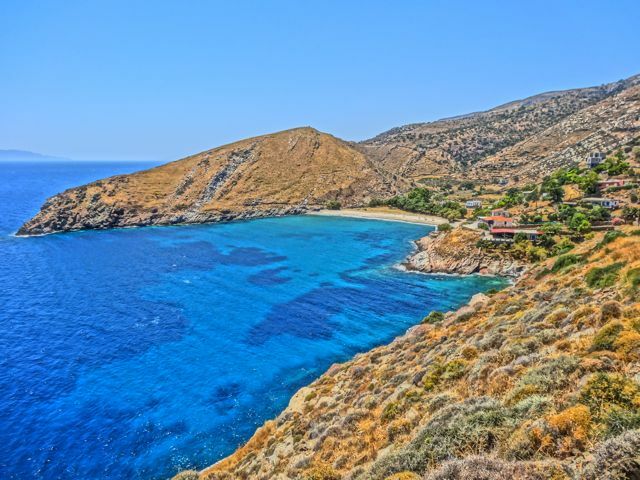 The beach of Agios Prokopios also gathers some summer sports lovers who enjoy windsurfing, banana tubing and beach volley. 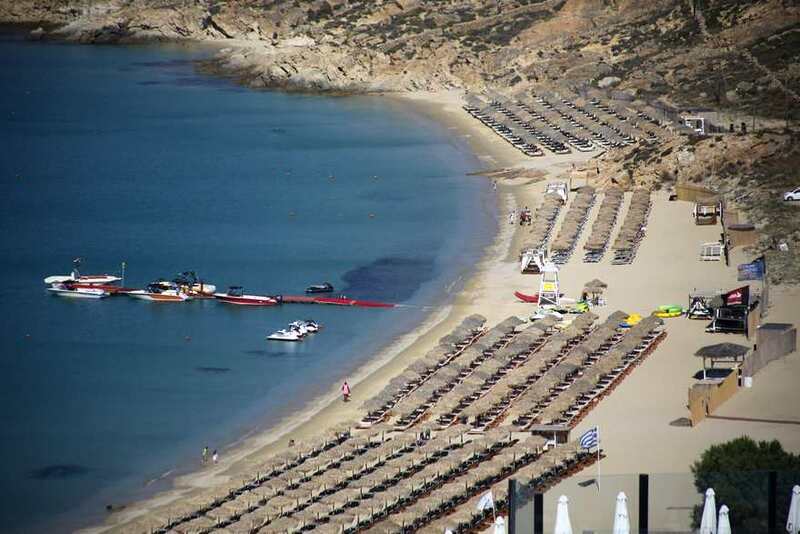 However, it is not the best beach for summer sports. 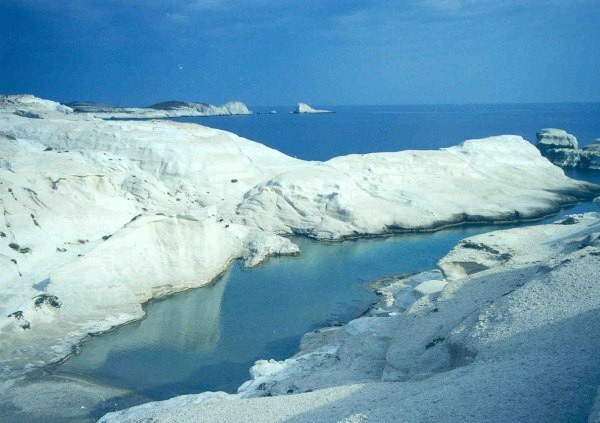 Public transportation is very regular, especially during the high season. 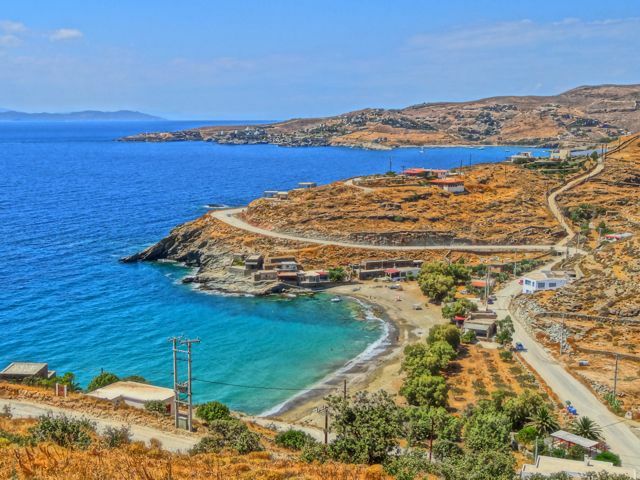 This is the most common way to get to Aghios Prokopios as it is quite hard to get a parking spot during July and August and you will also likely encounter quite a bit of traffic due to the village’s narrow streets.